I have not had these in stock for well over a year. But I have just located a few more. 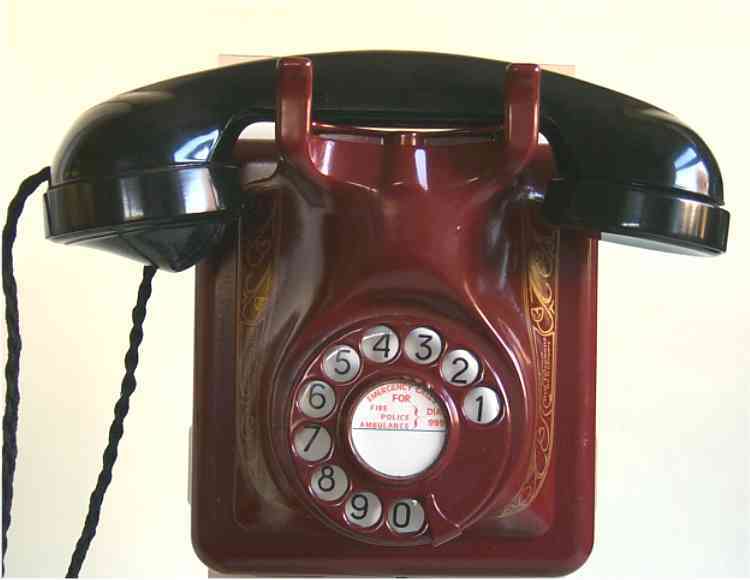 This unusual Bakelite wall phone was first seen in 1931. With its austere design only relieved by the nickel plated bells, it is a fine example of Swiss early minimalist styling. The Cubist movement led by Picasso and Braque, was a major influence on industrial design at that time, with the result shown here. This example was made in Switzerland for the Swiss Telephone Authority. 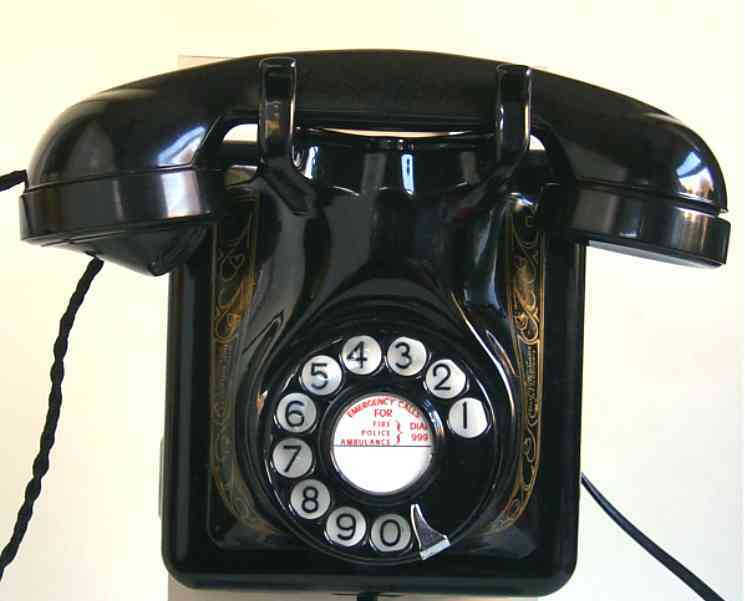 Aspects of the internal design and the slender handset shows Siemens and Halske influence. 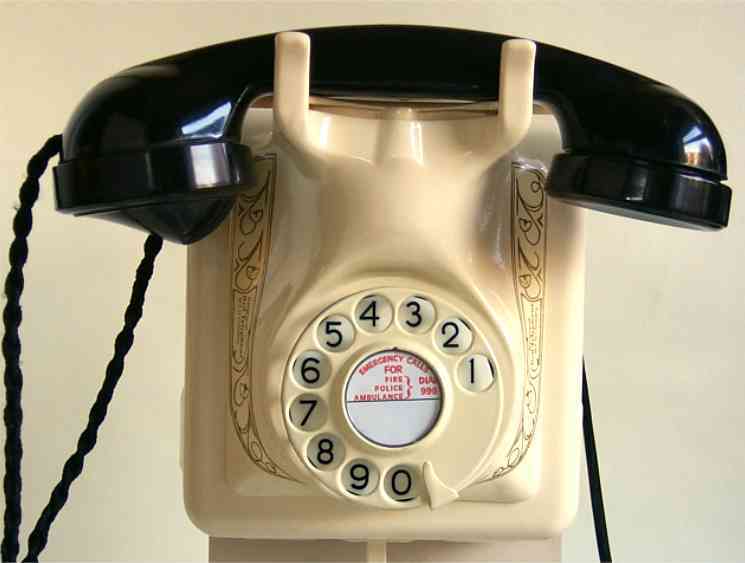 The hook on the base of some models, is provided to temporarily hang the receiver if the user is called away during a conversation. The microphone has been changed to a modern type. 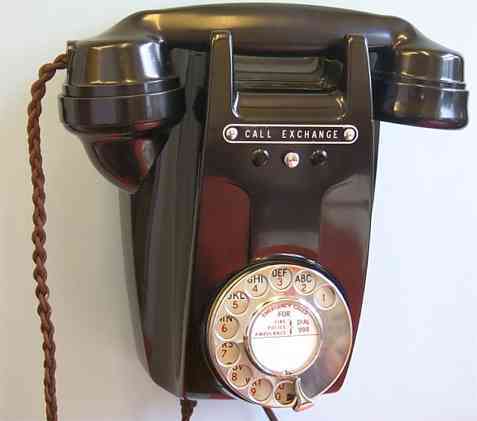 As wall telephones were not in widespread use in this country at that time, relatively few were made or have survived. These were only made from 1955 to 1959. 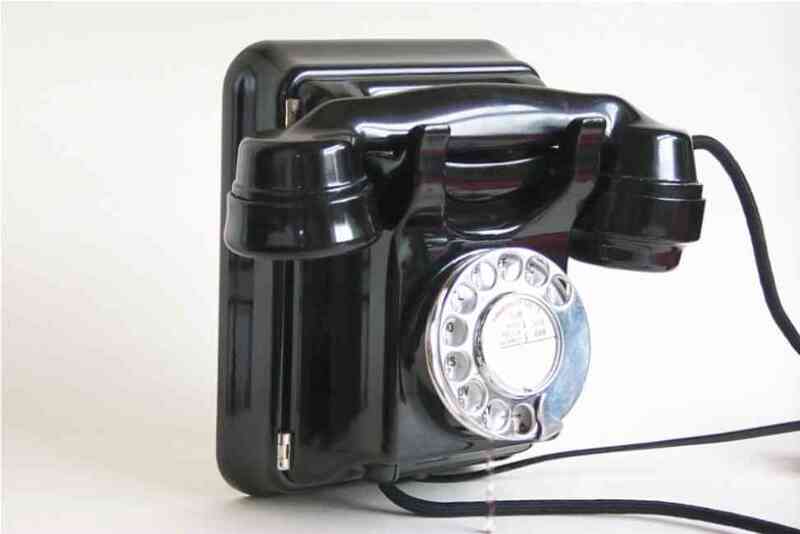 The now very scarce Bakelite 321 telephone was used on shared or “party lines”.